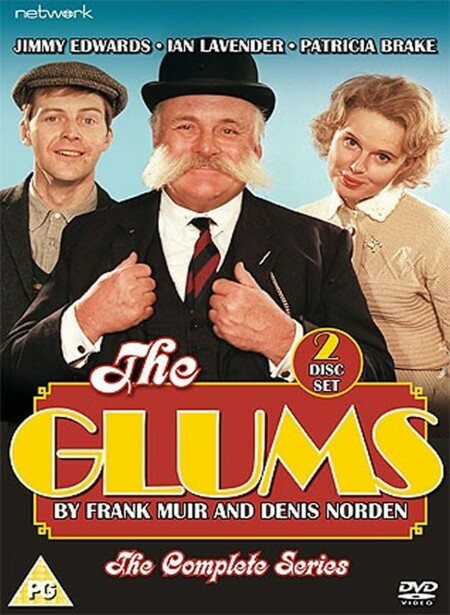 First introduced in sketches for the BBC’s legendary radio comedy show Take It From Here, The Glums were reanimated for television by original writers Frank Muir and Denis Norden in this hilarious classic comedy. Jimmy Edwards reprised his role as the bad-tempered, beer-swilling Pa Glum, with Ian Lavender as his brainless son Ron and Patricia Brake as Ron’s long-term, and long-suffering, fiancée, Eth; scripts were based on those of the original radio sketches. This set consists of all eight episodes along with the remaining short sketches that were used in Bruce Forsyth’s Big Night.